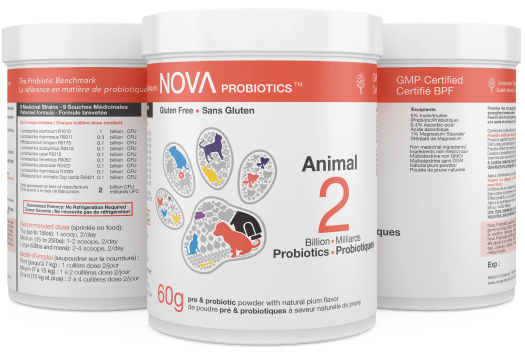 At NOVA, we want everyone to discover and enjoy the benefits of high-quality probiotic supplements, including our beloved pets. This product is specially designed to provide cats and dogs with good bacteria in their intestines, and prevent harmful bacteria or yeast infections. The formulation is a veterinarian approved combination of 9 probiotic strains paired with an excellent prebiotic, and dosed at 2 billion live-microorganisms per scoop. It’s in powder form, and it has a tasty natural plum flavor.